0-2000 FPM Vertical Speed Indicator - 2-1/4"
High quality instrument. Zero adjust screw. Made in USA. 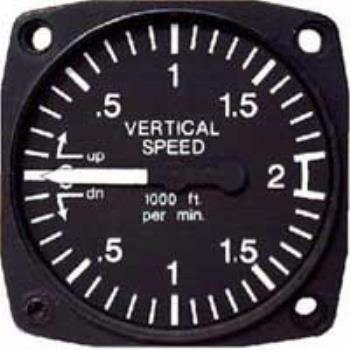 Cabin rate of climb and differential pressure indicators.